We're on the hunt for fun spring crafts for kids now that the weather is getting nicer around here. Of course, spring is always slow to fully bloom in Wisconsin which means plenty of cold and rainy days. On those types of days, it's preferable to stay inside and do fun crafts for kids. On a whim, I asked my five year old if she'd like to try a new spring art project with me. My three year old wasn't super interested, though he could have easily glued pieces together and joined in the fun. Usually I like to be more prepared with an idea before diving into an art project with the kids. 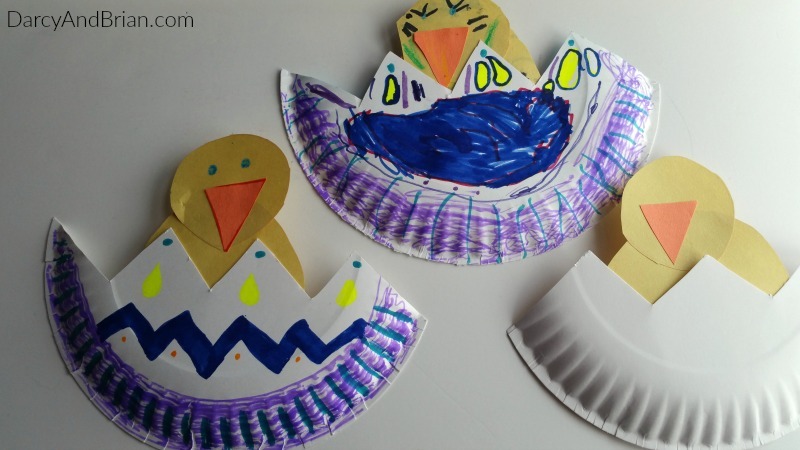 This is absolutely why I love easy paper plate crafts or any fun crafts for kids that use simple materials I'm likely to have around the house. There are so many craft activities that look amazing, but I don't have half of their supply list on hand. 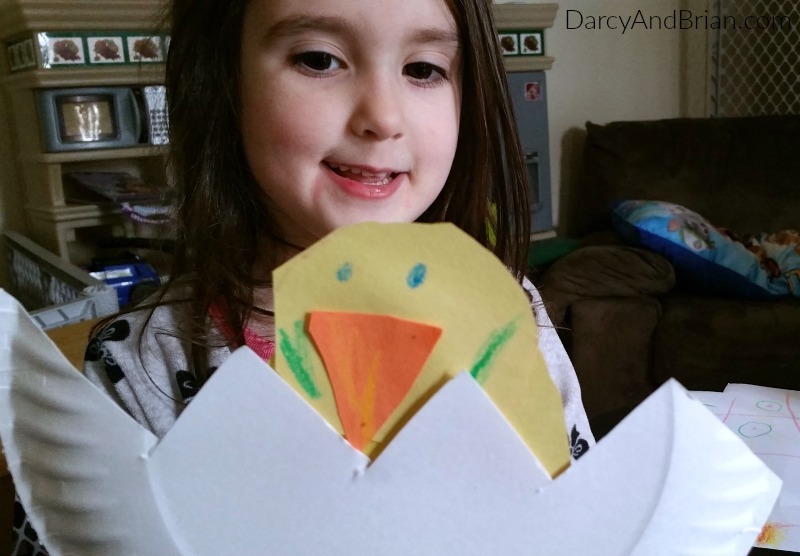 Even while making this easy Hatching Chick craft, I wasn't fully prepared ahead of time. It was fun and super easy, so I thought you might like to create your own hatching spring chickens! I didn't even think about taking pictures right away and made another one to capture the directions to share with you. *Note: Always supervise your children when using scissors. 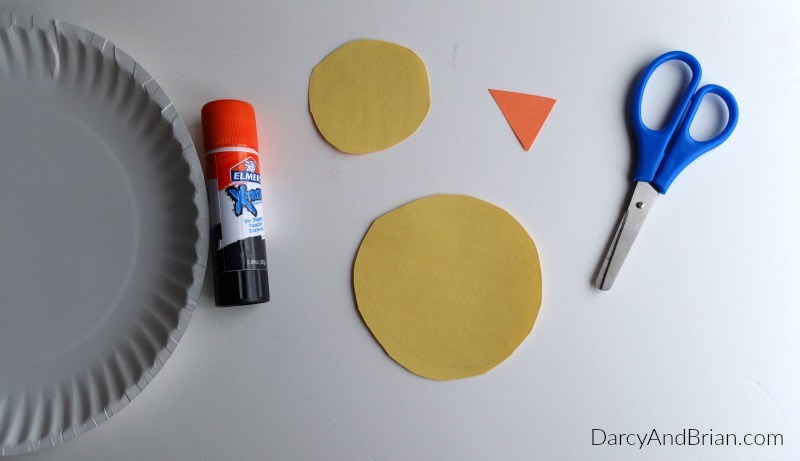 If your preschooler is helping cut things out, they can use safety scissors. My daughter likes to cut things out herself, but I will often draw it so she can follow the line. We started by cutting out large yellow circles for the chick's body and smaller yellow circles for the head, then glued them together. 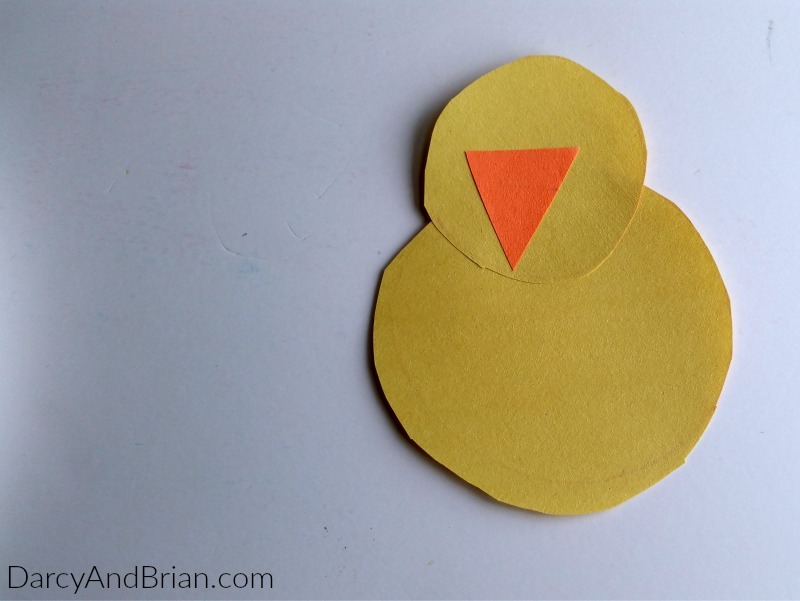 We cut out small orange triangles and glued them to the baby chicken's face. Using a marker, we made eyes. 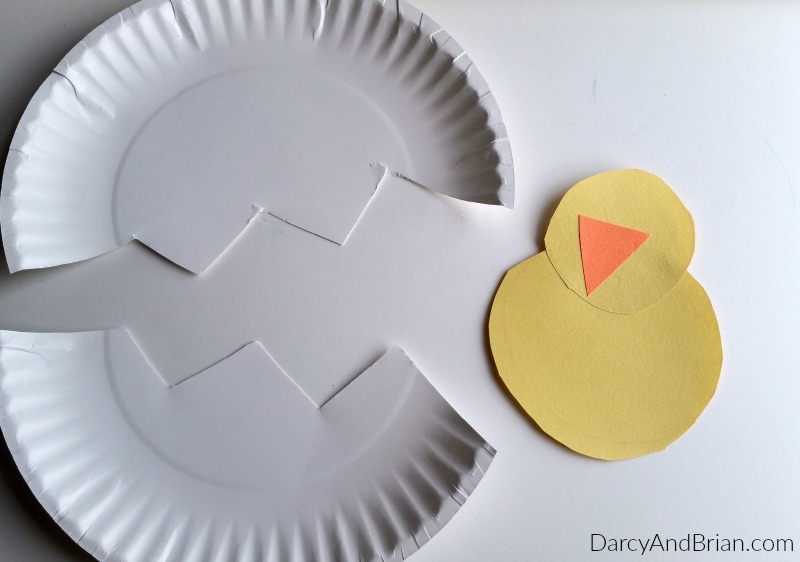 Cut across the paper plate, cutting it in half in a zigzag pattern. Glue the bottom of the baby chick inside of the paper plate. 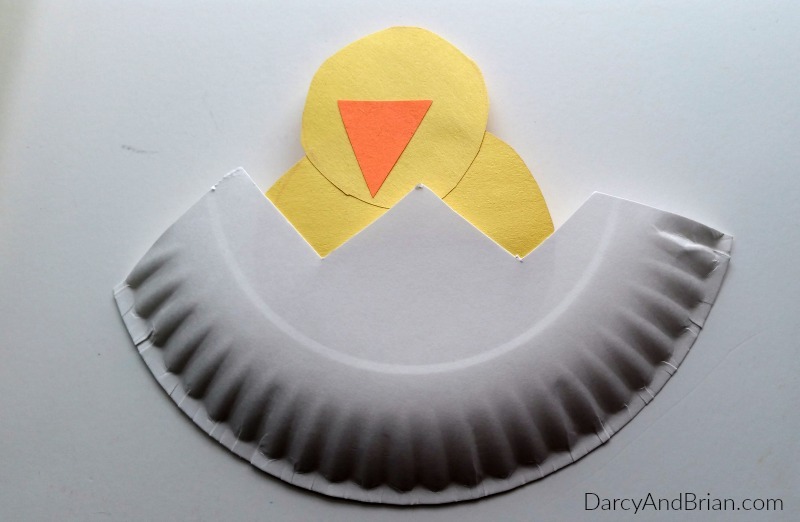 This easy spring craft for kids makes it look like the baby chick was freshly hatched! Optional: You can decorate the bottom of the egg (we did) or you could glue the top half of the paper plate to the chicken's head. Then it would look like it was peeking out of the broken shell. 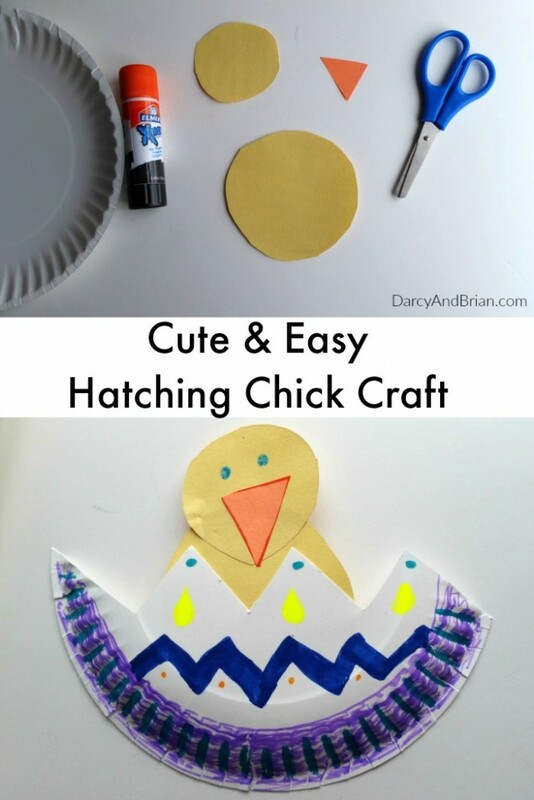 We hope you enjoy an afternoon making our Hatching Chick and other fun spring crafts for kids! Check out our Kids Crafts Galore Pinterest Board for more ideas.